Calendula is safe for children, it is wonderfully gentle and powerful. When dealing with a skin issue, calendula is one of the superstars. 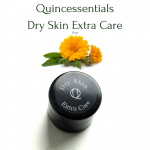 Calendula is an emollient and can help to moisturize dry skin. It also contains carotenoids which nourish the skin. It has antiseptic, antibacterial and antiviral properties, making it useful for salves and balms for cuts, wounds or for healing piercings. 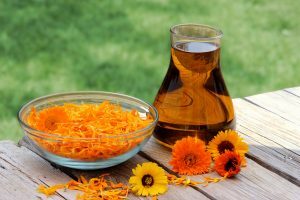 Any other lacerations, bedsores, irritated rashes or eczema can benefit from using calendula. Protective: Calendula is a great addition to your anti-aging regime, as it helps to keep the skin healthy and youthful looking. Researcher has shown this is because of the abundant antioxidants in calendula that have a natural protective property. Anti-aging: Calendula flowers, as you may be able to tell from the color, also contain carotenoids, which are key in helping your skin look more youthful. 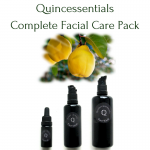 These protect from environmental stressors, and can help soothe. Carotenoids naturally exist in the outer layer of skin, so calendula-rich formulas, may help improve your skin’s appearance. 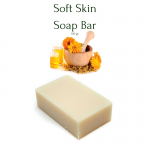 Moisturizing: Calendula is gentle and hydrating, it’s great for dry and sensitive skin. 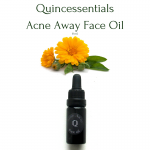 It can even be used under the eyes to reduce the appearance of crow’s feet, and on baby’s skin to help soothe dry, and occasional red patches. If you want to experience what Calandula can do for you here are some of our products which are made using this beautiful and potent all natural ingredient. Click on a picture to view the product.